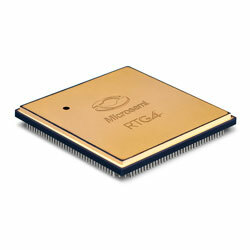 Microsemi Corporation has announced its RTG4 high-speed signal processing radiation-tolerant FPGAs have achieved QML Class V qualification by the DLA. The designation is the highest level of qualification for space components and a necessary step to satisfy mission assurance requirements on many space programs. This achievement opens the door for the company’s RTG4 FPGAs to be used on the most critical space missions with the highest standards for quality and reliability.